BB10 is trending at its peak with the new BlackBerry 10 devices and the OS itself being launched. What was spurring the curiosity at the moment was whether the company successful in bringing the most popular and needed apps to the much dry and less app friendly OS that it was earlier(although all necessary and premium apps were still available). 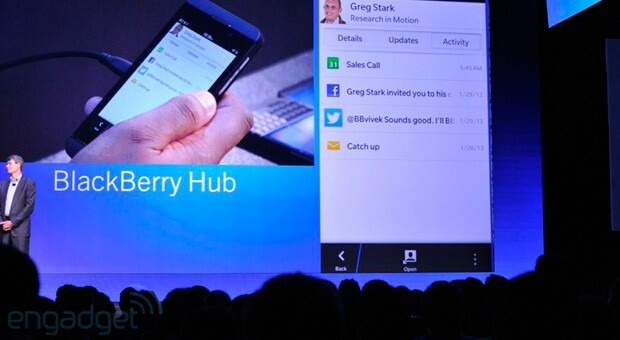 The four biggest smartphone applications in social — Twitter, LinkedIn, Facebook, and Foursquare — are headed to BlackBerry’s latest software platform, BlackBerry 10, via BlackBerry World.The first three were demonstrated on-stage during today’s BB 10 launch event, and were all shown as integrated with BB Hub. Other than that we have Skype from Microsoft confirming its contribution to the OS too. For gamers, we have a delight too – popular games like Angry Birds and Temple Run which were missed the most earlier now are all set to take over the BB10 empire too. BB lovers have so many treats in store, stay tuned. Next articleNews: BlackBerry(formerly RIM) launch Z10 and Q10 , 2 new BB OS10 devices.